In a letter to Chief Minister of Kerala, Mr. Pinarayi Vijayan, senior activists and politicians have insisted that the Kerala government should not agree to “inhuman displacement and build-operate-transfer (BOT) Toll system”, imposed by the Government of India and the National Highway Authority of India, for widening the current National Highway (NH) 66. Those who have signed the letter are Medha Patkar, convener, National Alliance of People’s Movements; VM Sudheeran, President Kerala Pradesh Congess Committee; SP Udayakumar of the People’s Movement Against Nuclear Energy (PMANE), Kuttey Ahmed Kuttey, Former Minister; and Hashim Chennamppilly, National Highway Action Council; and Kerala NAPM activists Kusumam Joseph, C R Neelakandan, and Vilayaody Venugopal. We would like to highlight certain pertinent issues regarding the development of NH in Kerala. We are of the firm opinion that considering the growth in number of vehicles due to the Kerala development model, the present National Highway, especially NH 66 is highly congested and hence requires immediate widening, at least as a 4 lane road. All people are supporting that project. But in implementing this development the people’s organizations fighting against inhuman displacement and BOT Toll system are raising certain issues. The development of NH will be smooth only if these issues are addressed and settled amicably. Population density, scarcity of land, ecological specialties, peculiar habitat, ribbon development, very high land price, usage pattern of NH, general resistance of the people against toll system etc are the key factors which make Kerala different from other states. Without taking care of these type of issues NHAI is trying to impose a project which is anti people and hence impractical in Kerala. Hence the resistance of the people against the project is very high. The preliminary notifications (3A) for land acquisition have lapsed many times because of the adamant stand of NHAI. Now they have started the whole story again by the way of LA notification and the project has been delayed. The requirement for a 6 lane NH is 30 meters maximum including the service roads. In most parts of the state 30 mts wide land was acquired many decades back and it is not at all used for widening the road so far. The insistence of NHAI and the union Govt. for acquiring 45 mts is the basic issue. Acquisition of additional 15 mts will displace thousands on houses, shops and other buildings. Also this will lead to second time displacement for many families who had surrendered their land for the 30 mts wide road many decades before for meagre compensation. They had built their homes and other buildings in the remaining land and now they are being displaced from that also. It is inhuman to displace same people more than once for the same project. Considering this fact we understand that an all party delegation had submitted a memorandum to the Prime Minister in 2010 for making the land requirement to 30 mts. The Union Govt. and NHAI insist for a BOT Toll model of NH development which they are adamant on this. In this context we would like to remind you that Left parties and people’s organisations are fighting against such anti people policies of the Union government for last many years. Hence we request you to raise this issue with the Union government to start the construction of the 6 line NH using 30 mts wide land available. By doing so the road development can be started immediately without any resistance and this will improve the transportation facilities in Kerala. Adding more flyovers in all major and minor junctions will certainly improve safety and mobility of vehicles. Hence we request you to impress upon NHAI and Union government for the development of 6 Line NH in 30M land already acquired. We understand that the land is acquired using NH Act 1956 which is draconian and anti people. There is a land acquisition, under the Right to fair compensation and Transparency in Land Acquisition, Rehabilitation and Resettlement (R&R) Act-2013, passed by Parliament in 2013 and notified in 2014 which was the result of decades long struggle by many people’s organisations and progressive parties. Even though it has many limitations against which we are continuing the struggle, I am of the opinion that 2013 Act is much better than the NH 1956 Act in terms of compensation, R& R etc. Being a left ruled state Kerala should use this Act to acquire the land, even for acquisition of the 30M wide land wherever necessary. But in this case the progressive clauses of 2013 Act is not considered and hence thousands of families will be in dire straights. It is known to me that there is no concrete R&R package even proposed by the government. The people who are displaced should be rehabilitated and resettled properly and a progressive government shall make sure this before planning any land acquisition. R&R is not just cash compensation. This is more relevant in Kerala where availability of land is very much limited and cost of land is very high compared to other states. Union government may be pressurizing to reduce the cost of R&R because they have to pay for it. But I would like to request you to be firm in this matter and convince them that state cannot acquire land without proper R&R and all the cost in real terms should be borne by them. Hence please ensure that all land Acquisition for National Highway Development in the state is done under the New Act of 2013, so that the people of Kerala may enjoy all privileges and rights offered in it by our Parliament. As you know the land price in Kerala especially on NH side is very high. Besides the huge social impact, 45 meters wide land acquisition will also result in tens of thousands of crores rupees cost. If the width is restricted to 30 mts there will be a huge financial savings which can be utilized to construct elevated highway. 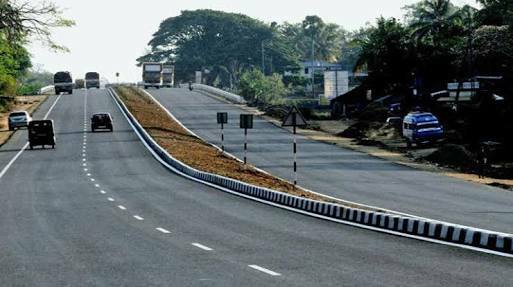 We demand you to request the NHAI and Central Governments to develop NH in Kerala upto 8 lane standard by the way of 4 lane in ground level and another 4 lane above it as elevated road. This will certainly reduce the accidents and fulfill the development needs for many years to come. The additional cost of elevated highway will be mostly compensated by the high land cost in Kerala. Also it can avoid social unrest of displacing thousands of families and by this the delay for acquisition can be avoided. It may be seen from the history of Kerala that the present development model of Kerala is based on many struggles by oppressed sections in the society. One of the most important struggle was right on public road by dalits led by ‘Mahatma Ayyankali”. That is the spirit of Kerala renaissance the spirit of which is lost in Kerala. Hence it is quite natural to have resistance from the common people against the privatization of NH or Toll Road by a private company. Please Not that unlike other states NH in Kerala is used by travellers of short distance also. This is because of the special habitat in Kerala, which can be considered as a whole long town. We demand the NHAI, State and Central governments to develop National Highways in Kerala without attaching Toll system. People of Kerala may accept Toll collection on elevated highway if there is a choice of service road available under it as free way. After the flood havoc in Kerala many of the areas in the existing NH and the land proposed for acquisition were flooded up to a height of 3 to 4 meters. Many of the families to be evicted were the victims of flood and they had met with great losses which are yet to be compensated by the state. Those same people are now served notice for eviction. In this context it is proposed to have elevated highways in these areas. We request you to reconsider the alignment of the NH to avoid the flooded area considering the reality of climate change. Also request you to spare the families affected by the flood from land acquisition to avoid a huge psychological shock. We hope you understand the severity of the problem and being the leader of a left progressive government you will try to be with the people in the development. Be the first to comment on "Petition against Kerala people’s land forcibly acquired using “draconian, anti-people” National Highway Act, 1956"